Revisiting a hidden stack from my collection of vintage books I unearthed this little gem totally forgotten about. 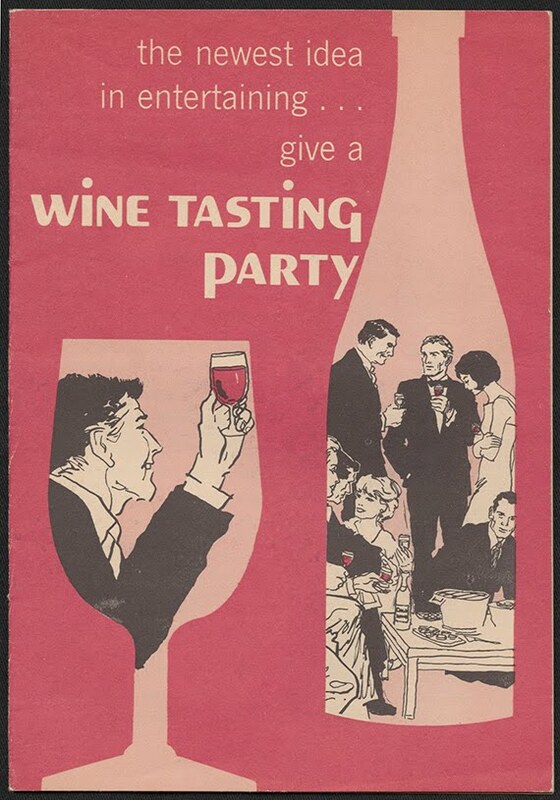 Published in 1966 by the Wine Advisory Board in California it was written to give the average American the tools to host their very own tasting! Illustrated with kitschy pink and white drawings as well as a few black/white photos the text of this mini book is a total blast from the past! The first step in your planning is easy, they suggest that you invite a dozen or so people on a Saturday making sure to clean your house and have the children nicely dressed and on their best behavior. Wow! This brought me back to my mom having her bouffant curls done before a party, then, getting my sister and I dolled up in matching dresses, with strict instructions to be seen and not heard! Suggested wines include a California Burgundy (made from a blend of red grapes having nothing to do with the elegant French wine made from Pinot Noir), a Rhine (California grapes made into a light, tart, Germanic style wine), Rose (in the style of Portuguese Lancer’s but a bit sweeter ), a Muscatel and a dry Sherry (bearing no resemblance to the dry Fino style of Jerez, Spain). Although these labeling terms are used less and less it was normal at the time to adopt these European terms on American labels. The last few decades have given California time to develop individual style, conduct viticulture research and implement site specific vine selection to produce quality wines. The suggested list would be vastly different today, barely a mention was made of Chardonnay the most infamous California white wine. As for glasses it says any clear vessel from a jelly glass to a 4 oz. plastic glass (the hostess may wash these for a second use!) will do. 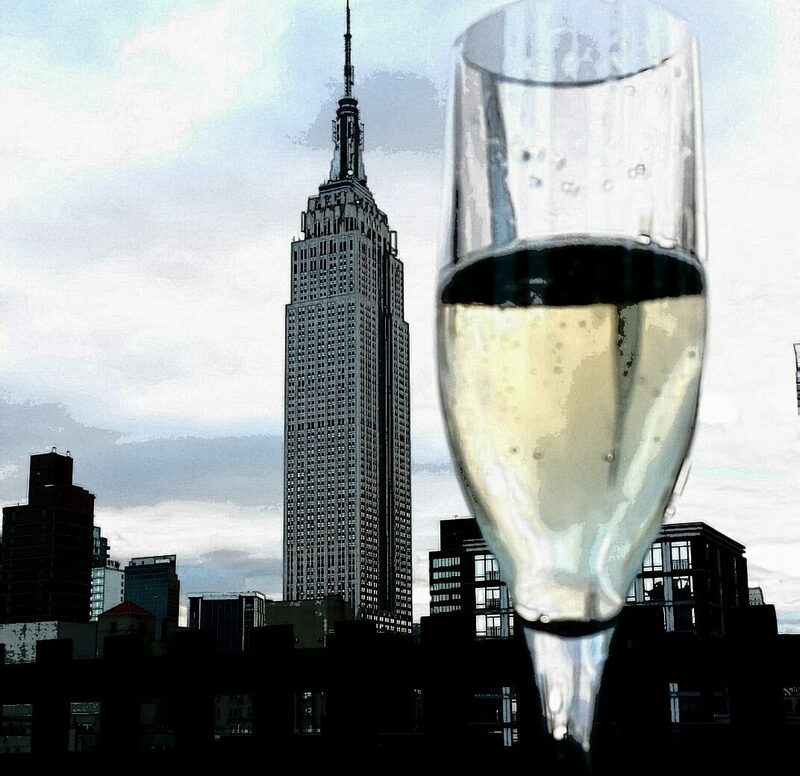 If you really want to splurge you can order some actual glassware from a hotel supply or upscale department store. Today you can get decent glassware in most any store with some great values in quantity at places like Bed, Bath and Beyond if you are hosting a larger tasting in your home. Next prepare your home! Decorate with artificial grape bunches and empty wine bottles filled with colorful drip candles. Put out some fondue, canned baby shrimp and Vienna cocktail sausages for your guests. Keep the food to canapes and provide at least a half bottle of wine for each person. If you really want to go all out add a pecan cheese ball, bologna roll ups and some floating candles! Plan some tasting games! The one pictured is “Blind Man No Bluff”. 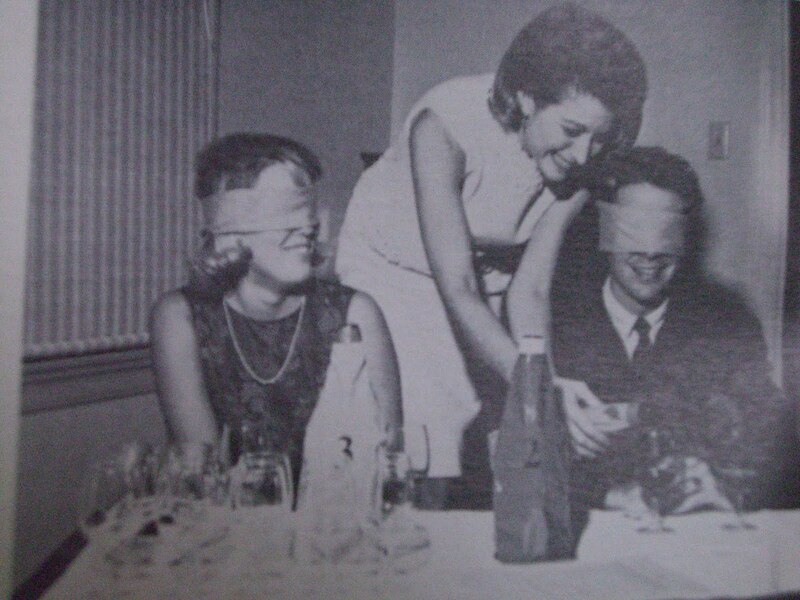 I guess in the age of Superman reruns people believed they could see through those paper bags holding the bottles. A dry and sweet Sauterne tasting is suggested for a sweetness level tasting. A range of California Port is suggested as well. The best thing about this booklet is the advertisement on the back cover. For $1 you can send for their Wine Expert Study Course, when you finish the course you get a handsome diploma! I am tempted to send in my dollar to see what happens. I love checking out these kind of vintage wine/food books. Thankfully things have come a long way from those large jugs of red, white and rose in America but I have to admit I occasionally crave pecan cheese balls and fondue! Melt butter in large fry pan and add onion. Cook over medium heat till translucent. Add apple and continue cooking for 10 minutes over low heat. Add vinegar, sugar and cook for 5 minutes. Remove from heat, set aside till needed. Rub garlic inside of fondue pot, chafing dish or double boiler, discard. Add cheese, pour in wine and cook over low heat stirring constantly till mixture is smooth. Blend cornstarch with Brandy, nutmeg and pepper and add to pot. Stir 4-5 minutes longer till smooth and thickened. Add in apple, onion mixture and stir well. Serve immediately and keep warm with low sterno or candle warmer. Have each guest dip bread with fondue forks or toothpicks twirling in cheese mixture. 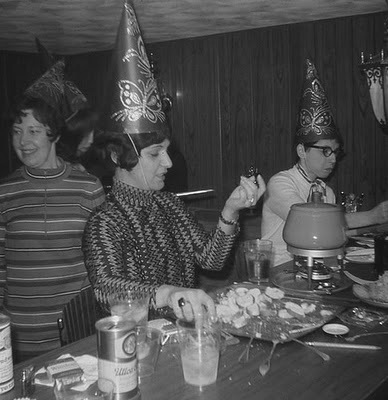 Enjoy this recipe with friends, weird party hats optional…. Previous Rose makes me Hungary! My Best Pick of the Year! Next Kelso of Brooklyn on the High Seas, A Evening of Beer and Cheese!